The Lazarus Trio is a new project featuring the talents of multi-instrumentalist Carl Groves (Salem Hill, Glass Hammer) and newcomer Mike Koeniger this is an album 35 years in the making! 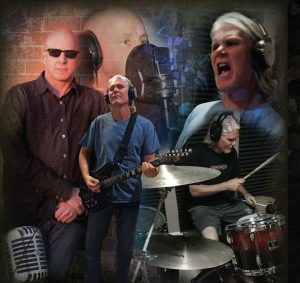 Open Letters is an eclectic mix of musical styles (rock, progressive metal, progressive rock, acoustic) and ideas wrapped up in a package of heavy drums, driving guitar, wailing Hammond, and intelligent lyrics. From the opening notes of Road to the end of the album, this is a musical odyssey that started in the mind of a 17-year-old hitchhiking home on a rainy evening. When the concept of this album was presented to Carl Groves, the music started to solidify into the work presented on the final CD. Carl patiently worked with the “former 17-year-old” to get the musical ideas out of his head and into a listenable form. He also contributed many of his own musical ideas improving on the original ideas and adding new compositions. These are the musical musings of two men who see the world through the lenses of family, fatherhood, philosophy, theology, partnership, military service, and mortality. 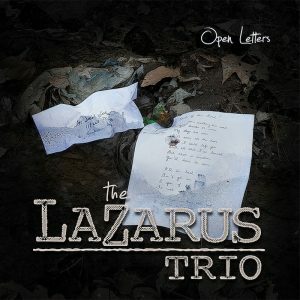 As Open Letters was composed the Lazarus Trio resisted the boxes that society tries to place us in and endeavored to be honest and forthright with ourselves and our audience.